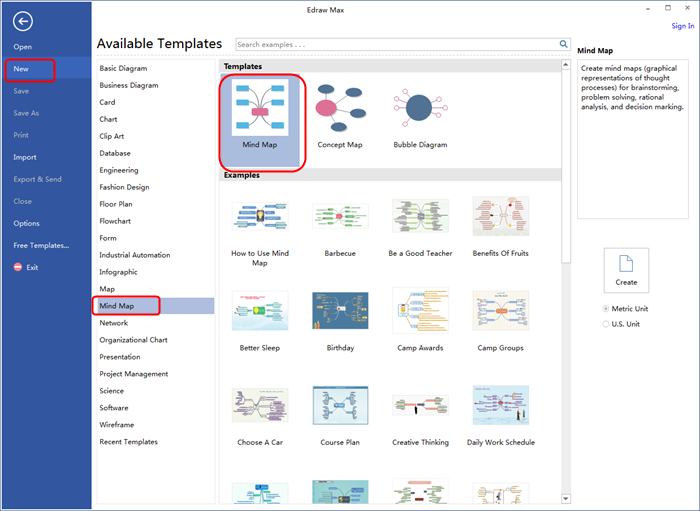 Edraw Weekly Planning Mind Map Drawing Software provides you a simple way to draw mind maps for weekly planning, meetings organizing, holiday planning, problem solving, etc. When it comes to organizing your week, you just feel weeks fly so quickly and you can’t help but ask yourself, “What did I do last week?”. Growing up, each day needs to be pretty well-scheduled out for you. 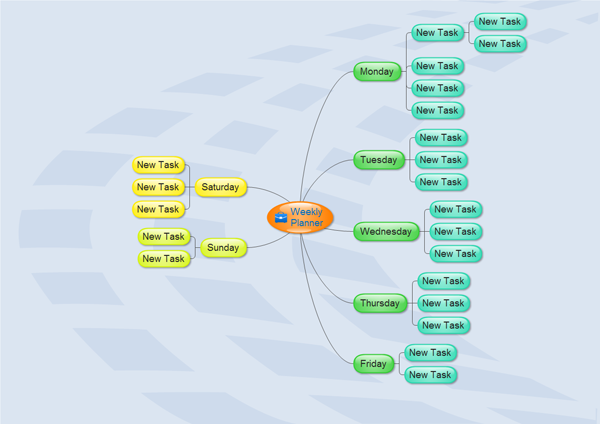 Mind map is such a great tool to plan your week. After above-mentioned discussion with yourself, you need to create a mind map for weekly planning now. Simply download and install this Weekly Planning Mind Map Drawing Software on your computer, and then start to mind map your weekly plan.